A century after it happened, Francophone groups who pushed for an official apology say Regulation 17 is still "a thorn in the side" of Franco Ontarians. A century after it happened, Joanne Gervais says Regulation 17 is still "a thorn in the side" of Franco Ontarians. 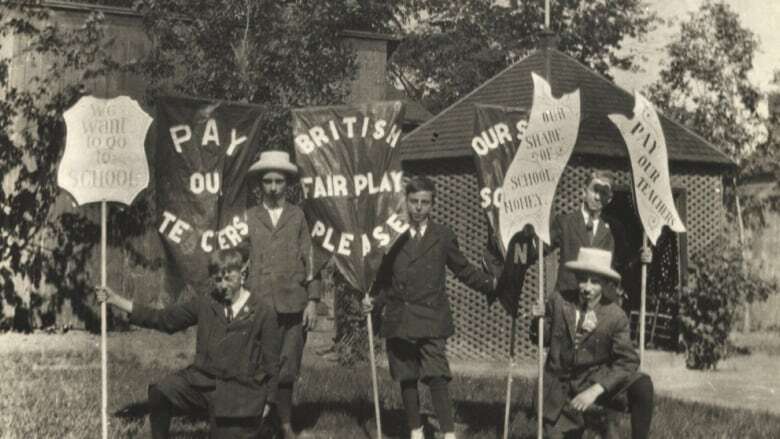 The general director of the Sudbury chapter of Association Canadienne-Francaise de l'Ontario told CBC News that, even though several generations have passed since French was banned from Ontario elementary schools, the memory is fresh for Francophones. "It was wrong," said Gervais. "It was really an assimilation of an entire population [that] they tried to realize. Lucky for us, they didn't succeed." Gervais's group pushed Sudbury MPP Glenn Thibeault to table a motion calling for an official apology, which Premier Kathleen Wynne has agreed to deliver, likely in the new year. But New Democrat Timmins-James Bay MPP and Franco Ontarian Gilles Bisson said the apology is "much to do about nothing." He said it's ironic that Franco Ontarians are currently having trouble getting the government to act on another education matter, the building of a standalone French university. Regulation 17 was in place from 1912 until 1927. 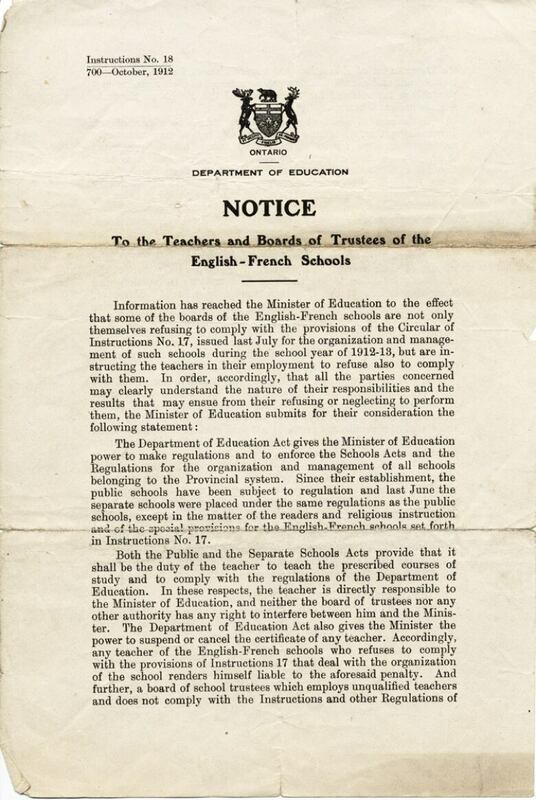 Michel Bock, a history professor at the University of Ottawa and author of Le siècle du Règlement 17, said the ban on French schools came about amidst a rise of British sentiment in the Ontario government. Bock said that, while most tried to resist at the beginning, cuts in education funding forced most schools to comply, especially those in the more isolated corners of northern Ontario. But others "blatantly" defied the government calling themselves "écoles de la résistance." "When news of the arrival of the inspector came, many students simply left the classroom, so the inspector would come into an empty classroom or sometimes they would hide the French textbooks and the teacher would pretend to give their class in English," he said. Bock said it did mean that many Franco Ontarians, especially in northern Ontario, didn't learn to write or speak their own language. "This is one generation that was essentially lost," he said. But it also strengthened French culture in the province, with large protests against the regulation, especially in the Ottawa area, leading to the founding of Francophone newspapers and organizations, many of which are still in place today.